We have 3 launch sites around Siena and we will choose the launch site that will give us the best possible flight depending on the wind direction. We always meet at the same place. Drive approximately 5 km South East on the S73 – E78, Siena – Bettolle road. Exit at the junction marked ‘Casetta / Monteaperti’. At the end of the ramp, turn left signposted ‘Monteaperti / Bossi’. Go over the bridge and enter roundabout. Take the second exit signposted ‘Monteaperti / Bossi’. After 50 metres, turn right at the brown sign ‘Lago Acqua Borra’ where you will see the ‘Ballooning in Tuscany’ sign and vehicle. 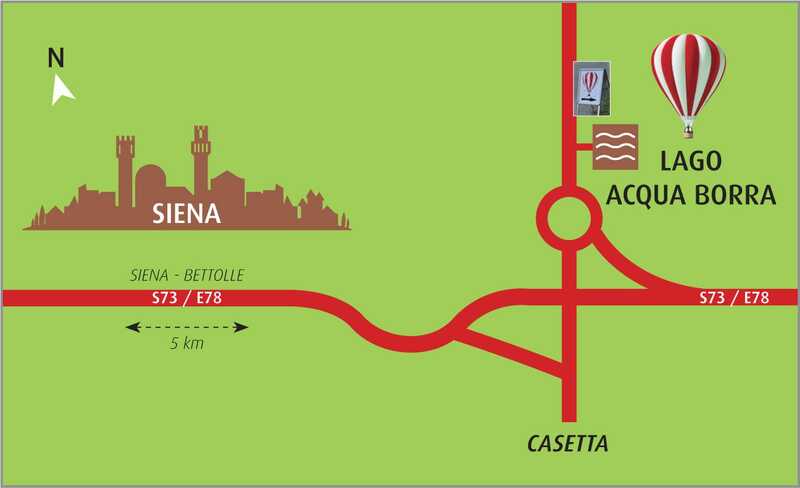 Exit the S73 – E78, Siena – Bettolle road at the junction marked ‘Casetta / Monteaperti’. At the roundabout take the third exit signposted ‘Monteaperti / Bossi’. After 50 metres, turn right at the brown sign ‘Lago Acqua Borra’ where you will see the ‘Ballooning in Tuscany’ sign and vehicle. 3rd Services can arrange private transfers from a number of locations as far away as Florence. Please contact them directly for rates. 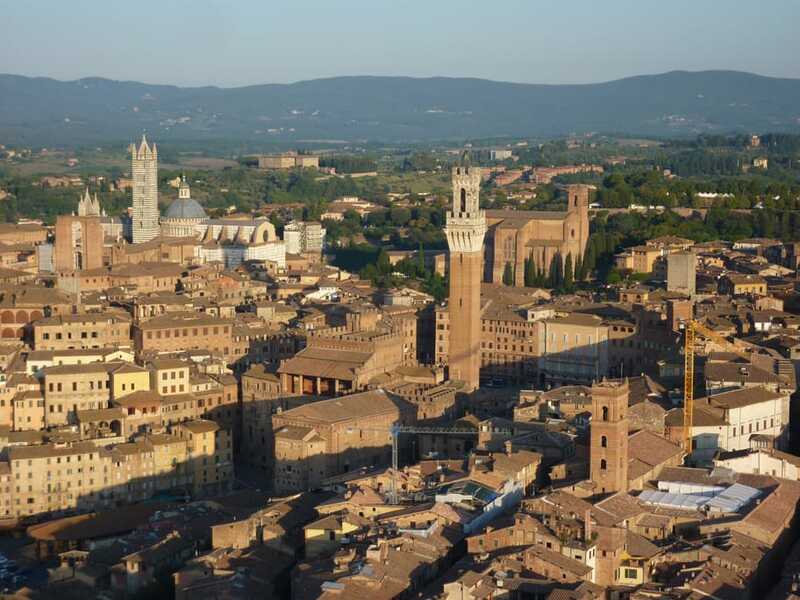 It is possible to have your own private guide in the air while flying over Siena and the surrounding areas. Francesca Fumi Cambi Gado can accompany you on board the balloon, please contact us by phone or email for more details. You can find more information about Francesca at https://personalguideinsiena.wordpress.com. As with any commercial flight, if you miss your flight no refund will be due but if you think you are going to be late you can try to contact the pilot on the mobile number you will be given after you have booked your flight. There is no guarantee that you would be able to contact the pilot in the morning since the mobile phone signal might not be good at the launch site and after the balloon is inflated, about 20-30 minutes after the meeting time, it might not be possible to delay the launch. If you miss your flight we would try to fit you in to a flight one of the following mornings, subject to available spaces.